You’d expect your local Health and Fitness columnist to have a slew of New Year’s Resolutions for you, but I only have one. It’s fun and achievable, will boost almost all your bodily functions, help adapt your body-type to one that is prone to being slimmer, and helpfully at this time of year, will boost your immune system. Ready Eat more foods. That’s it. It’s not a typo though. Eat more foods, plural, means eat a greater diversity of food, not a greater number of calories. Have you heard much about the microbiome yet If not, you will soon. Perhaps I’ve done too much reading and listening to lectures on the subject, but I see the following facts oft-repeated in the material. This is with good reason though, because they really are quite amazing. Hippocrates said: “all disease starts in the gut” and we are only now just discovering the extent of how true that is. 80% of the human immune system is contained in the gut. And finally, very hopefully in my opinion, studies into gut health are being called “the new frontier of medicine”. Gut flora is integral in almost every process in the human body and developing a full understanding of this is leading to a paradigm shift in the way we look at illnesses. Key areas in which there is much optimism that we’ll unlock some answers are mental illness, obesity and, of course, food allergies. We want our gut to be operating in symbiosis, where the body and the microbes are in harmony, creating a mutually beneficial relationship. 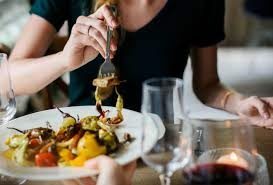 The gut is happy that it’s being fed the right diet, and therefore reciprocates by doing all its jobs well — absorbing nutrients, synthesizing vitamins, producing energy, signaling hormone responses, keeping the bad bacteria at bay. If in a dysbiotic state, good bacteria are too starved to do their job well and bad bacteria reign. Some of the milder symptoms of this are lethargy, brain fog, and a slightly compromised immune system, but eventually you might pass the threshold into disease conditions. Dysbiotic conditions are caused by a long list of things, mainly a bad diet, with the biggest criminal being sugar, as well as alcohol, antibiotics, and toxins from non-organic foods and products. But moving from the dark side to the bright side, one of the reasons this is a pet-topic of mine, is that all these new findings are incredibly hopeful and positive, because we are in control of what we put in our mouths, and what eventually makes it to the gut. I started by saying your New Year’s challenge was to eat a bigger variety of food. This is because you need to feed all the bacteria, not just the same ones that thrive on your same old choice of just a handful of vegetables. Ten years ago, 200 types of microbes had been identified, now the count is close to 10,000. They all have particular preferences and talents. So, this winter, the number one thing you can do for your gut, and therefore your immune system, is add a couple of new plant-based foods to your grocery cart each week. Be daring and pick up something you’ve never had before and google a recipe. Or simply choose a different variety of apple than usual. That counts too. Another food group to add to your diet is fermented foods. Your new-found array of vegetables, fruits and legumes, contains prebiotics, which are like fertilizer to feed the full spectrum of your biome. Fermented foods like yogurt contain probiotics, live bacteria which boost the health of the digestive tract. Choose a high-quality, low-sugar and full-fat brand of yogurt. Labneh, kombucha, sauerkraut, and kimchi are also great sources of probiotics, and, again, the greater variety, the better. Go boldly to the supermarket and give those good bacteria a treat!